Enchant rings , bring it with you and you won’t have to depend on a single enchanted item . 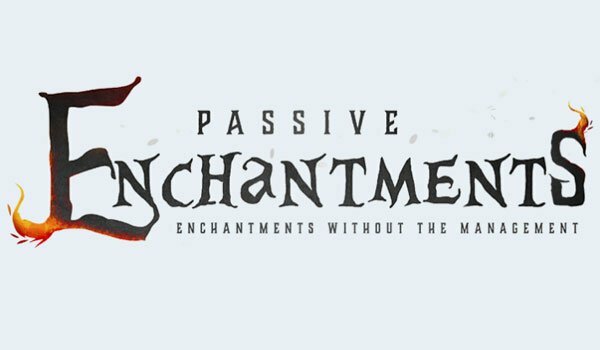 Passive Enchantments 1.7.2 is a mod that has few days of life , but provides an interesting feature that allows us enchant rings, using spells in the game. So , when we enchant a ring, we have it in our inventory and we apply the enchantment . This won’t depend on the enchanted item , like before that if we don’t reapair it broke and we lost the spell . Thus, we can even have a bow and a sword without enchantments and have a ring with any enchantment that would be applied to both the sword and the bow . To enchant rings , do what you are going to see in the video below . Once you have the ring, put the book with an enchantment on any kind of prop that adds the mod, place the ring on the book and set fire to the book with the lighter. So the spell book is transferred to the ring and we have the enchanted ring. How to install Passive Enchantments Mod for Minecraft 1.7.2? Enchant rings and applies its power to all your equipment and tools!